The first time Hans Henny Jahnn's trilogy Fluß ohne Ufer came to my attention was in Reiner Stach's biography of Kafka. I noted that of the "five monumental unfinished ruins of modern German-language prose" that includes two by his subject, River Without Shore is the only one still to be translated into English. A few years later, China Miéville recommended The Ship, the first part of the trilogy that had been translated over forty years ago. Imagine a longer, more expressionist version of The Stoker and you have a good idea of what it's like. It made me wish the rest was available in English, not out of some generalised curiosity but an unfocused yearning, as if the German volumes resting on a bookstall stood for the generalised promise of all unread books, the fulfilment of which also remains untranslated. 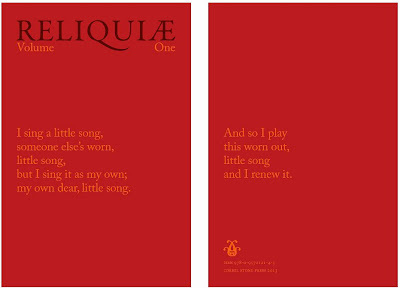 It wasn't until I read Landscape as the Origin of Music, Noor de Winter's essay published in the first edition of Reliquiae, that the content of the trilogy revealed itself and suggested in part why it remains untranslated: "full of reflections on music, nature and the creation of art", Fluß ohne Ufer "tells the story of fictional composer Gustav Anias Horn and his friend Tutein, their travels and friendship". This is a long way from an uncanny thriller and much closer to Thomas Mann's Doctor Faustus. No wonder publishers have shied away. "Anias" the essay explains, "is haunted by the possibility of permanent pain without salvation" to the extent that, on a trip to Norway, he empathises with the suffering of birch trees whose leaves are used to feed livestock. He develops "a supernatural longing" to "capture the melody of the soil, the song of the gravel on which the birches grew". De Winter describes Anias as an artist-as-listener rather than "someone who imprints his vision upon his surroundings"; he is "someone through whom a vision of something else can be transported, translated, transformed". In this way the landscape is an unread book whose translation takes another form. The literal nature of this transformation is revealed when Anias discovers that birch bark looks very much like mechanical piano rolls whose growth rings can be transliterated into written music. Ever-changing interpretations braided themselves into each other, appeared like a deluge of strange harmonies suddenly dissolving, falling apart to lamenting antiphonies. 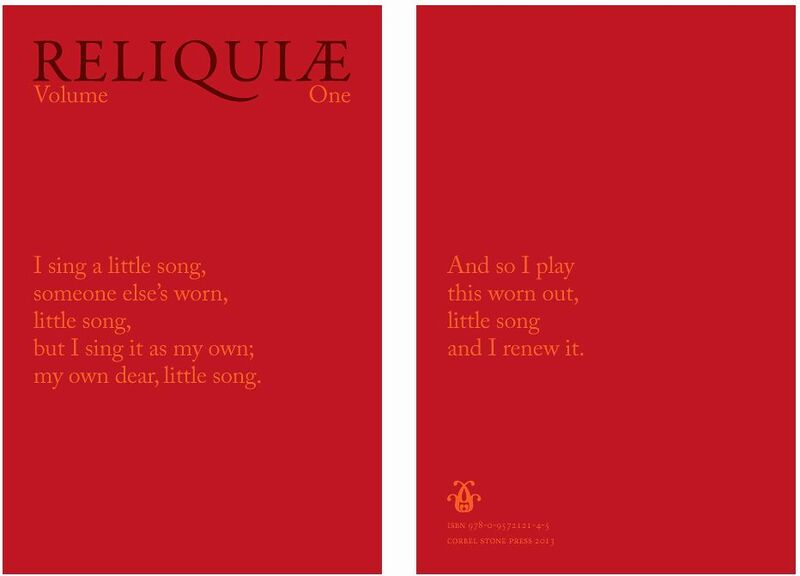 [...] When I had played this music I knew it didn't originate in me, it came to me. A miraculous telluric power of disclosure had used me. However miraculous, the essay concludes by acknowledging that such music "can express only something of the wonder that [Anias] experienced in the birch grove" and that it is "perhaps the lot of the artist-as-listener to acknowledge the deficiency of any particular realisation of their theme". This final point reminds us of the closeness we have to the book and distance to its object. While we read of Anias' project and perhaps become enchanted by his example and practice, what we read is the opposite of any epiphanic vertigo we might experience before a landscape or listening to a piece of music. Any lyricism the narrative might have is a result of the animation of the distance between itself and its subject. Music is its own unmediated presence; literature is entirely mediation. We are like Anias himself with the only difference being that our realisation of deficiency is itself the experience of art. An impoverished experience, we might think. So what does this mean for the novel if, as Walter Pater wrote, "all art constantly aspires towards the condition of music"? The difference between the novel and music appears like that between sociology and sleep: the first only a matter of comprehension and density and, the second, a matter of their absence. The curious thing about "the condition of music" is its lack of content. Music can lead one to sense an elemental pressure irreducible to notation or lyric sheet. If we compare it to a vision of nature, the condition is equivalent to where a landscape leads: the blank horizon. From stoney escarpment and dense copse to lush meadow and glistening stream, the eye is drawn to the empty sky in the distance; an epiphany without manifestation. The urge to capture the experience can be seen in the incessant and forlorn posting of heavily filtered nature photographs. In contrast, there is no visible horizon of the novel. The reader experiences the book by descending into a literary landscape: walking along a dirt path, sheltering in a dappled grove, paddling in a stream. The horizon is obscured. Poetry, which may be thought more tuneful, is elevated by being set to music – think of Blake's Jerusalem – while a novel turned into an opera has no bearing on the original. What's closer might be the Proustian epiphany in which time opens and collapses like a concertina, except, again, this is narrated like Anias' experience of telluric power. We might therefore assume that even closer is dreamlike, automatic writing taking precedence over conscious mastery, allowing the chance effects of music to occur. But this would seem to diminish the form, at best subordinate it to music and nature. Notice that the distance between Ulysses and Finnegans Wake is immeasurably greater than that between a Bach fugue and a Schoenberg piano piece. Yet what if you read novels to approach that horizon? Where is the horizon of narrative? Perhaps merely asking these questions defines a particular experience of reading and indicates a fundamental disconnection with the prevailing mode of reading fiction, which focuses on the foreground and, if it is aware of something more, misplaces the horizon, like Bach admirers seeking the true Goldberg among all his variations. What's lacking from literary criticism is the expression and investigation of this experience and even though, for me, this must be its primary purpose. It's why Knausgaard's My Struggle is such a remarkable work. He is able to unite the banality of a life with the unaccountable experience of art. So perhaps indirection is the necessary future of the form, although, as Fluß ohne Ufer demonstrates, it has always been the form, waiting to be translated, a song waiting to be heard, a clearing waiting for daylight. Let us pause before prose so rich in cliché and poor in soul. At first I questioned the assumptions embedded in this line and then presented miscellaneous examples indicating that the hunger is not for reality as such and that Shields' disillusion is the dismal light shining through the twin cataracts of modernity – journalism and scientific positivism – both impermeable to deep history, philosophy, theology and art. Reality Hunger is thereby the literary correlate of New Atheism, a displacement of monotheism mitigated only by its failure to attract the heresiographers infecting the latter phenomenon (though this might be coming to an end). It has to be said my efforts to resist outweigh anything a refutation might bring forth, no matter how fine the examples. They are untimely. Despite Reality Hunger comprising quotations and brief reflections that might have easily fallen into a Tumblr void, it commands influence precisely because it is a book. The form of a book, any book, transcends the sum of its contents by appealing to a coherent unity and the promised land of truth. The title is that unity. Corporate journalists found the premise congenial of course and the common reader was thereby tuned in to the buzz. A student correspondent of mine reported "energised" discussions on the library steps as his fellows passed the book around; after all, the food metaphor of writing's relation to the world is a tasty, bite-sized morsel. This power to influence so many with what is effectively a literary gesture is intriguing because Reality Hunger relies on an apparent contradiction more or less identical to that of New Atheism. Implicit in both is a suppressed relation to its zone and manner of expression. In both, radical materialism is demanded from the immaterial space of mind and word, with expression demanding an a priori sufferance of the contradiction. For example, Shields pursues without irony the non-book in the one form that provides an aura of weight and promise to the demand (i.e. the Book). You may say this is a mere point of order perhaps, one casually set aside as one reads and thinks in pursuit of worldly answers to worldly concerns, and easily dismissed as a product of art-for-art's sake aestheticism or ignorant of recent theories of consciousness. Except the point remains because of how these responses are expressed; the light of consciousness does not illuminate itself. What all this reveals is that the ancient objection to writing remains embedded in western literary culture. In the Phaedrus, Plato reports how Socrates compared written language to figurative painting, impersonal and with no guarantee of a living speaker. The productions of painting look like living beings, but if you ask them a question they maintain a solemn silence. The same holds true of written words; you might suppose that they understand what they are saying, but if you ask them what they mean by anything they simply return the same answer over and over again. Writing is thereby aligned to the uncanny authority of sacred places and objects. Both refer to an existence more original than themselves yet all the while pronouncing on the most pressing issues of everyday life, thereby posing problems for those promoting faith in reason and realism. The original has no presence. The premise of Reality Hunger merely echoes Socrates' anxiety about the silence of writing and, moreover, what provides Shields' solution is the same too – a physical guarantee. The cultural phenomenon we are witnessing is the laboured repetition of an attempt to reconcile our expectations with profound uncertainty. This is why I keep returning to Reality Hunger. Like any obsessive oppositional stance, it is too close for comfort. I share Shields' disillusionment with contemporary literary fiction, especially its ossification into a Booker-winning genre. The difference is that while Shields recommends that novels seek "deliberate unartiness" and include "raw material, seemingly unprocessed, unfiltered", I believe the only way to go is through literature, by becoming apparently more literary, to provoke perhaps even more anxiety, which is why the books I've written about in the last few years confront the remove of writing within the work itself, a risk invariably condemned by conservative critics as self-indulgent theorising. So what we appear to have is competition between demands differing on mere matters of taste. However, I know my shudder over for the first line of Reality Hunger quoted above is more than a connoisseur's disdain for commonplace phrases and metaphors; sentences affect my experience of the world. Beginning of time, figure out, what the artist thinks – these are cold, shallow words evoking a cold, shallow world. And while this may seem unduly subjective and impressionistic, Socrates' objection to writing suggests a deeper reason, something fundamental to the impulse to read and write and the paradoxical gifts of the novel. What recommends itself then is an alternative model for the relation of writing to the world. 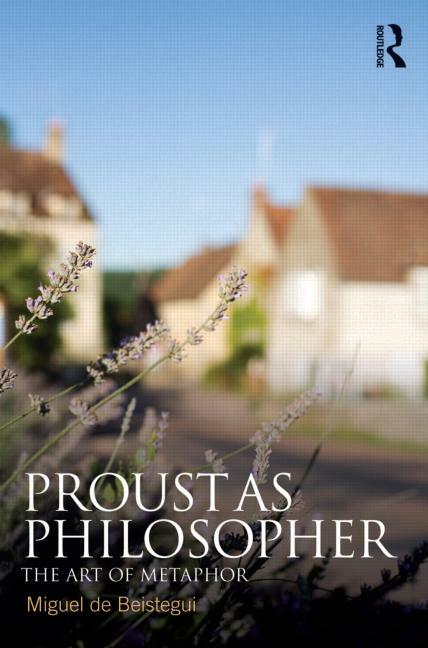 Miguel de Beistegui's book Proust as Philosopher offers just that. Set aside the dry title for now. It is an unfortunate consequence of the title of the French original, Jouissance de Proust. 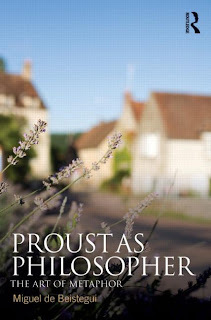 A literal translation – The Joy of Proust – conjures an image of a bearded man grappling sweatily with a curvaceous fountain pen, and those involved were right to reconsider the title. However, jouissance is key because for Proust's narrator the proper search is for a relation to reality that might enable essential knowledge and genuine happiness, even. The book begins by outlining the fundamental problem of Marcel's life, which may seem familiar: a present of disappointment, frustration and suffering with a future of profundity and joy promised in the form of romantic love, great art and the natural world. When fulfilment appears imminent, disappointment, frustration and suffering remain, only in different forms: the object of his love provokes intense jealousy, what he understood as great art fails to lead him into the world of truth he had awaited so keenly, and the beautiful, fragrant hawthorn bushes he adores give him asthma attacks. Worse, when he wants to requite this condition by producing a work of "infinite philosophical meaning", everything he writes, whether richly imaginative or solidly realistic, dies on the page. In Search of Lost Time takes its form in the revelation that a key reason for such a condition is that Marcel neglected to include the failure of infinite philosophical meaning as part of infinite philosophical meaning. Fantastic and realistic modes of creativity are both provisional, merely epiphenomenal, and always trumped by solitude and the external world. Once Marcel begins to explore and animate the space opened by experience and the expectations it refuses to fulfil then a different world begins to unfurl and, what's more, enables him to write something of infinite philosophical meaning. The exploration is embodied in the opening scene of the novel as Marcel wakes up and negotiates the boundary between dream and reality, much like Gregor Samsa in Metamorphosis. Waking to change then becomes a constant. De Beistegui presents Marcel's discovery in philosophical terms: there is a lack at the heart of being – "an ontological deficiency" – that is original and fundamental to the structure of experience. The actual world escapes us because such distance is constitutive of human experience, with the real being "its very own self-absence". What Marcel experiences as hunger are the signals of what lies beyond this condition. The epiphanic moments we all know from the petite madeleine episode enable Marcel to realise his unhappiness is a form of inattention to these signals and impatience to grasp what they indicate. The signals correspond to a unity much like rhymes in a poem and the deficiency can be redeemed only by attention to rhymes across time and space. What made Marcel unhappy were the attempts to fill the lack by "a strategy of compensation" – physical possession, genre craft or Dionysian indulgence – or by "recapturing or reproducing the 'thing' that's lacking" – reality, realism. Joy is possible only in searching for the enchanted experience of time's absence, as presented in the book we are reading, which takes time. From this we can see that to respond to the signals of the real requires a certain kind of writing, not one of lyric reverie or bureaucratic notation but precarious combinations of both. If the real is its own self-absence, it is not self-sufficient and thereby reliant on the literary project. This is why de Beistegui highlights the art of metaphor in Proust, with a wonderfully provocative rider: "Metaphor is not fancy or mistress of error and falsehood but the figure of the real in its self-transposition or transfiguration. The conversion of matter into spirit but only as an implicit dimension of matter itself". It is a paradoxical situation, one that worries at habitual commonsense: life is elsewhere, or, in Marcel's terms: the only true paradise is a paradise lost. Marcel's life is pierced by signals that, enabled by metaphor, set off a chain of correspondences opening to a unified experience. However, if metaphor is "rooted in the very structure of experience and not simply a rhetorical trope" then the quality of that life resides in the quality of those metaphors, the quality of attention and the quality of writing. It makes literature all the more demanding. In Search of Lost Time is a kind of bildungsroman leading to the challenge of this discovery. Marcel shows that the true paradise relies less on formal memory than on chance recognition, those rapturous singularities. It is not a direct product of masterful agency and is therefore always on the brink of falling back into petrifying genres. It's why the novel does not follow the overt facts of Proust's life, and explains why he did not publish the 800-page Jean Santeuil and why one reader quoted in Reality Hunger insists Proust is "at base an essayist" and In Search of Lost Time is "not fiction". She is in the hotel but blocks her ears to the hymns. If we recognise metaphor as the key to unlocking the temporal prison cell, we can then also appreciate why the central stories of In Search of Lost Time concern romantic love: Swann's pathetic obsession with Odette, Saint-Loup's for Rachel, and Marcel's own for Gilberte and Albertine. "The real significance of love" de Beistegui writes "is epistemological: it drives us to imagine what we're unable to know". But, as a character in John McGahern's Amongst Women says: "Nothing is so bad as having to imagine". Marcel first meets Albertine as part of a "little gang" of young women he watches from afar in the seaside town Balbec. In fact, it is the gang that attracts him; he wants to be amongst young women in flower. They exist for him like the summer landscape of beach, sea and sky: a larger existence he cannot attain. Eventually Albertine becomes his lover but her other life – "the vague and non-existent universe" of her excursions with Andrée, another member of the little gang – provokes jealousy so much that she becomes the title of the fifth volume: The Captive. Stretched out at full length upon my bed, in an attitude so natural that no art could have devised it, she reminded me of a long blossoming stem that had been laid there, and so in a sense she was: the faculty of dreaming, which I possessed only in her absence, I recovered at such moments in her presence, as though by falling asleep she had become a plant. In this way her sleep realised to a certain extent the possibility of love. Alone, I could think of her, but I missed her; I did not possess her. When she was present, I spoke to her, but I was too far absent from myself to be able to think. When she was asleep, I no longer needed to talk. I knew that I was no longer observed by her. I no longer needed to live on the surface of myself. Albertine's complete throughout all her metamorphoses; she's a bird, a plant, a landscape, she's Odette, Andrée, Marcel, all of them at once and even simultaneously, while we can never say what she truly is, essentially. Like the world in general she's always in a state of becoming, a composition of matter that connects with others and, doing so, becomes something else entirely. This is what de Beistegui means by "the conversion of matter into spirit but only as an implicit dimension of matter itself". The real is always revealed in something else with no need to privilege one over the other and no need to rage for one order or the other. In this sense, the transcendent is immanent to our own lives, so much as we can write, and write well. I'm aware that De Beistegui's ontology and theory of metaphor have their own genealogy in European thought, for example Gilles Deleuze – another philosopher who wrote on Proust – and Hans Blumenberg. But this is a review not a patent office and I shall leave tracking those threads to others. Reading Proust as Philosopher reminded me of the personal value of critical analysis of single works, how it can crack open the carapace of a classic work of art without bleeding it dry: adding rather than cancelling. It stands alongside last year's translation of Quentin Meillassoux's The Number and the Siren as a work that corresponds to what is apparently most untimely.